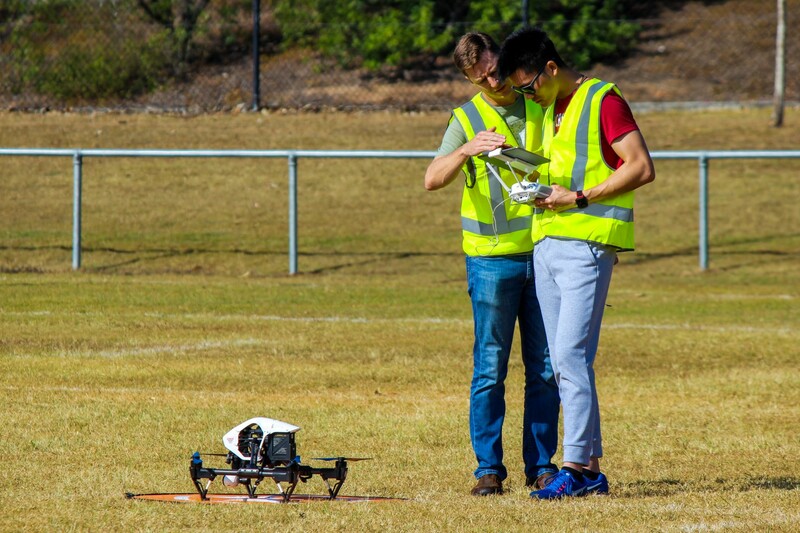 Following recommendations from the 2018 Senate Inquiry into the impact of Remotely Piloted Aircraft Systems (RPAS, otherwise known as drones), CASA is seeking feedback into a registration and accreditation scheme. Feedback closes on February 22, and if you feel strongly about the changes you can provide your thoughts via the following website: https://consultation.casa.gov.au/regulatory-program/pp1816us/consultation/. In the following article we will discuss what the proposed changes will mean to you if they are introduced by CASA. There are two main considerations: accreditation and registration. Accreditation relates to the “individual person” flying the drone/RPA, and covers the licencing or educational requirements based on their intended type of flying (recreational vs. commercial). Registration relates to the actual “drone”, or RPA, and will include a fee based on whether you fly recreationally or for commercial purposes. Be aware, this is only a proposal and may change depending on industry feedback. However, not only is the Federal Government pushing for these measures, CASA has been developing the proposed changes in conjunction with a number of industry working groups over the last few months. Therefore, it is likely the final registration and accreditation scheme will be very close to what is being proposed, with only minor variations. What are the sub-2kg rules? be issued with and continue to hold an accreditation. There would be separate accreditations for recreational and Excluded RPA category operators. Excluded RPA (i.e. sub-2kg rules) commercial operators will have a more detailed education video and quiz, taking approximately 30 minutes to complete. Accreditation to fly will be free, which will hopefully encourage people to complete the necessary education and accreditation steps. Children (under 16) will not escape CASA’s requirements. Both the child and their guardian are required to complete the online education, and the guardian needs to complete the quiz. We can assume this will mean children will need to fly drones under the supervision of a guardian (who has passed the quiz). Commercial operations under a certified RPA (ReOC) operator (CASR 101.F.4). Commercial operations under the Excluded RPA category (CASR 101.F.5). Recreational operations of an RPA or model aircraft. Commercial operations under the Excluded RPA category (CASA 101.F.5.). Peter intends to operate in the Excluded RPA category (sub-2kg rules). He also flies his DJI Mavic for fun. Peter would need to complete the Excluded RPA accreditation. This would also cover him for recreational flying. Michael passed his RePL training last year with a CASA-approved RPAS school. Although he isn’t currently flying for an ReOC holder, he sometimes operates in the Excluded RPA category, and likes to fly drones for fun on the weekend. Because Michael has passed the RePL, he wouldn’t need to complete any further accreditation. He would meet the requirements to continue flying commercially and recreationally. The registration requirements will apply to recreational users operating drones weighing 250 grams or more. The requirements will not apply to RPA weighing less than 250 grams, RPA operated recreationally indoors or flying of model aircraft at CASA-approved model airfields (including MAAA and some FPV clubs). The final cost is yet to be confirmed, but CASA have indicated it should be around $20 annually. The fee will be per person and not per drone. CASA explain that the fee is being treated as a “cost recovery” consideration. Elliot has three drones weighing more than 250 grams, and flies them for fun only (therefore recreationally). Under the new scheme, he would need to pay CASA approximately $20 per year. This fee would cover all of the drones he flies recreationally as it is a per-person fee, not a per-drone fee. Sotiri owns a DJI Tello, which he flies for recreational purposes only. The Tello weighs 80 grams. Because Sotiri flies the Tello for fun, and it weighs less than 250 grams, he does not need to register the drone. However, the proposal is currently unclear whether he would need to complete the online accreditation (education and quiz). Mick is a ReOC holder that employs eight staff and operates 15 RPA. Each of the employees already holds an RePL. The employees would not need to complete the accreditation process as they already hold a RePL. Mick would need to pay a registration fee for each of the RPA the business (ReOC holder) owns (i.e. approximately $2400 per year). The employees would not need to pay a registration fee, unless they flew their own RPA. If they flew for fun, they would pay $20 per year. If they flew in the Excluded RPA category (i.e. not under the oversight of the ReOC), they would pay approximately $160 per drone per year for registration. Matt does not hold an RePL and operates commercially in the Excluded RPA category, flying two Mavic 2s and a Phantom 4. Matt would need to complete the Excluded RPA accreditation (online videos and quiz – no cost). He would also need to register each RPA, costing approximately $480 (3 x $160). If Matt flew his RPA recreationally, the $480 fee would also cover recreational flight (i.e. he would not need to pay an additional $20 to fly recreationally). CASA intends to commence the accreditation and registration scheme from 1 July 2019. ReOC holders will be required to register their RPA from this date. Excluded RPA operators will need to complete their accreditation and registration process from September 1, with recreational users completing the process in November. CASA have explained they plan to introduce penalties to provide a disincentive to those who illegally operate a nonregistered RPA or operate without accreditation. As with all RPAS regulatory breaches, the difficulty for CASA would be to prove non-compliance and to enforce the relevant regulatory provisions. Drone flying tips - don't crash your Christmas present!